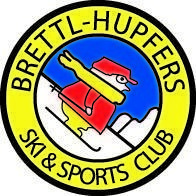 BRETTL-HUPFERS SKI & SPORTS CLUB, INC. Single (not married), at least 21 years old, with attendance at 2 club weekends prior to completion of a membership application. Associate and Married Associate Members require 2 years of full membership; Race Members must race for the club at EICSL race series. Held monthly, location announced to members. All EICSL events and activities including race program. Our ULLR weekend in November ushers in the ski season with the annual "battle" between the Gods of Snow and Rain and victory ceremony for the snow God; ULLR.